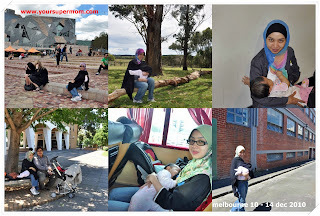 As promised, I wanna share some of my photos while breastfeeding in public during my vacation in Melbourne. Supports from your other half. And you are done good! 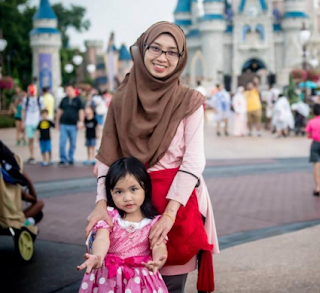 Thanks allah, the whole family supports me now, even my father in law now always says like this to me, " Takpe, bagi je dia menyusu sampai kenyang.. Biar dia kenyang "
Honestly .. Just like my previous trip to Singapore, overseas people are more open-minded and supportive! C'mon malaysian mommies, let's us together promote breastfeeding in public!